With the advancement of technology, numerous Android Viruses from malicious websites can cause great danger to your phone data. If you do not download & install apps from trusted store, then these apps might be harmful for your Android phone so you must select any best Android security app from the list of best 5 Antiviruses of 2016. These security applications will analyze each & every app for harmful programs like viruses, malware, trojans, etc. You will see a big dynamic change in your phone optimization after running scan through these apps. 360 security is one of the best, top rated Antivirus security app of year 2016. It has got all the latest features that will protect your phone from harmful viruses, malware, spyware, etc. It is one of the most searched Antivirus app whose User Interface designed is simple, dynamic, fluid, & User Friendly. It has got an Antivirus Engine that automatically scan for viruses, malware. As soon as it came across harmful programs, it immediately take action & remove it. It also act like Android cleaner & Booster that will remove all the junk, cache, residual files from your Android phone to boost phone speed. Cm Security is also in the list of top 5 Android security apps. It is considered to be one of the best malware protection app. It has been developed by Cheetah Mobile. They have also developed some other apps like Cm speed booster etc. Cm Security will also check any externally connected SD Card for harmful programs. The User Interface is fluid & Friendly. The running speed for this app is 500% greater than other Antivirus apps. It not act like antivirus but also an applock that will lock all of your important documents, files, etc under a strong password so that no body except you could be able to access them. Kaspersky is one of the top rated Phone security app. It will analyze your phone for harmful programs & will remove them in order to enhance phone protection. It will also make your Internet browsing safe & secure by blocking all those websites which have got malicious content. It also help you to block unwanted calls, sms, etc. Malwarebytes is also in the list of best security apps in 2016. It is light weighted app. It will protect phone data from malware. You will not have to worry about your phone security after the installation of this app as this app will automatically guide your phone in the right way. It will automatically analyze that which app is best for your phone & which one is not. 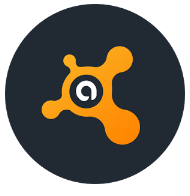 As far as protecting phone against Viruses is concerned, Avast always remained the first priority for Android users because of its dynamic features. After the installation, it will start analyzing your phone. Not only virus protection, but Avast also provide numerous features like blocking Calls/sms of the person who is continuously making you annoy. It also act as phone locker. It make your internet browsing safe by blocking malicious URLs. It will analyze all those operations which are causing your phone speed to slow down. It will remove all of them in order to boost phone speed.